Logitech’s Ultimate Ears on Monday debuted myBoom Studio, a site where people can customize their own version of the popular Boom 3 Bluetooth speaker. The option is also limited to the U.S., and comes with a 3- to 4-week shipping time and a $30 premium, putting its pricetag at $179.99. 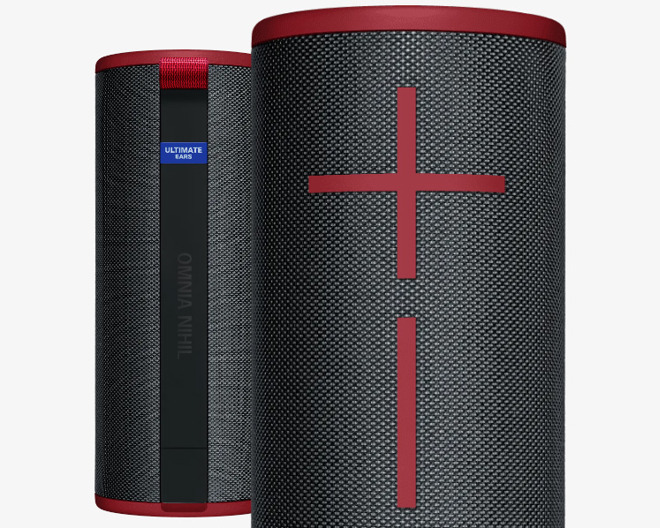 Customization may eventually come to UE’s top-of-the-line Megaboom 3. The Boom 3, which AppleInsider reviewed in October, bottles loud audio into a comparatively small package. Its other core features include IP67 waterproofing, 15 hours of battery life, and a “magic” button that can launch playlists from Apple Music, the iOS Music app, or Deezer.